Estimated pivot point is at a level of 1.1901. 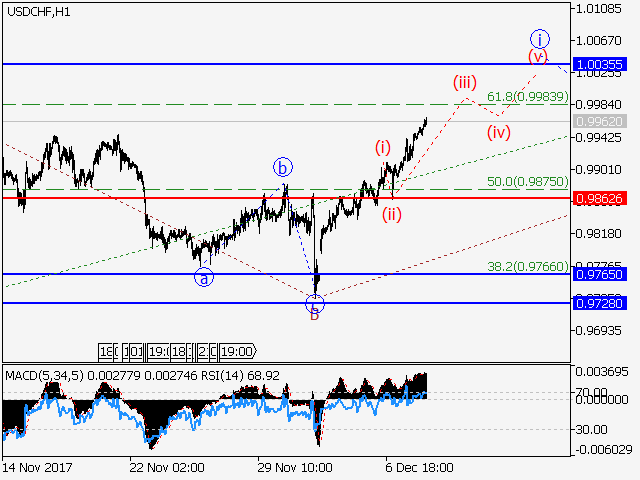 Main scenario: short positions will be relevant from corrections below the level of 1.1901 with a target of 1.1735 – 1.1650. Alternative scenario: Breakout and consolidation above the level of 1.1901 will allow the pair to continue rising to a level of 1.1970 and higher. Analysis: Supposedly, a descending correction in the form of the wave (2) continues developing in the 4-hour time frame, with an ascending correction in the form of the wave B completed and the wave C developing inside. Apparently, the first wave of junior level i of C has been formed and the ascending correction in the form of the wave ii of C has finished locally. If the assumption is correct, the pair may be expected to continue falling to the level of 1.1735 – 1.1650. The level 1.1901 is critical in this scenario. 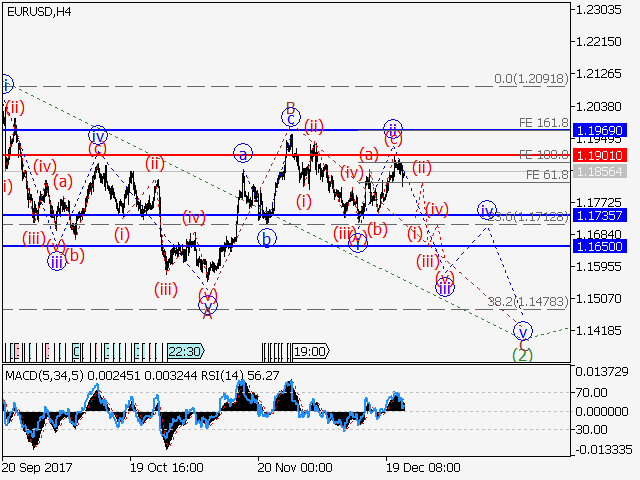 Estimated pivot point is at a level of 0.9828. 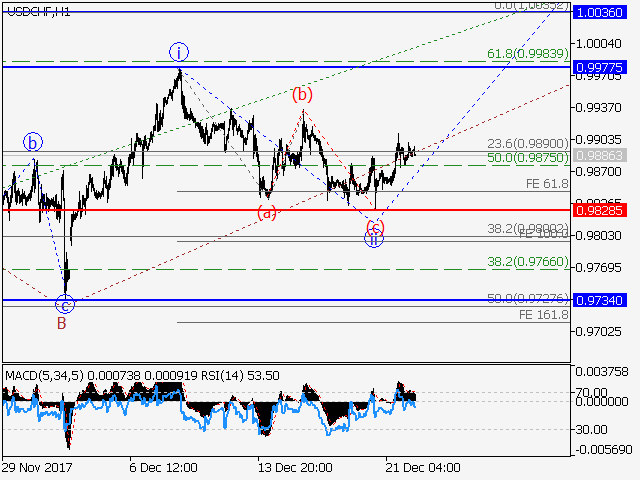 Main scenario: long positions will be relevant from corrections above the level of 0.9828 with a target of 0.9977 – 1.0036. Alternative scenario: breakout and consolidation below the level of 0.0.9828 will allow the pair to continue declining to a level of 0.9734. Analysis: supposedly, an ascending correction in the form of the wave (2) of senior level continues developing within the 4-hour time frame. Apparently, the first wave С of (2) is forming locally, with the downward correction of junior level i of C completed in the form of the wave ii of C inside. 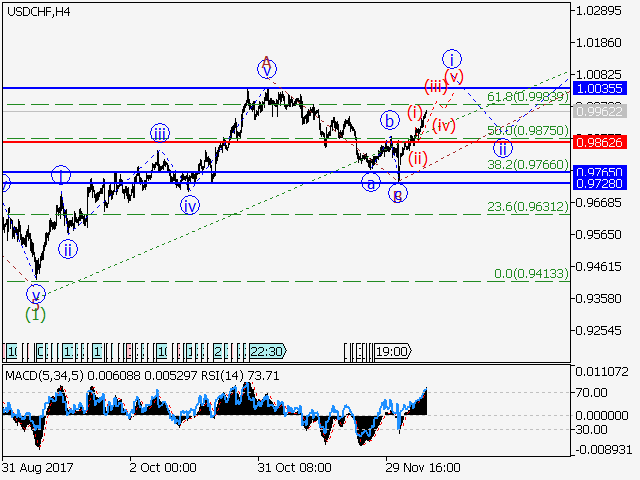 If the presumption is correct, the pair may continue rising to the levels of 0.9977 – 1.0036. The level 0.9837 is critical in this scenario. Estimated pivot point is at a level of 112.02. 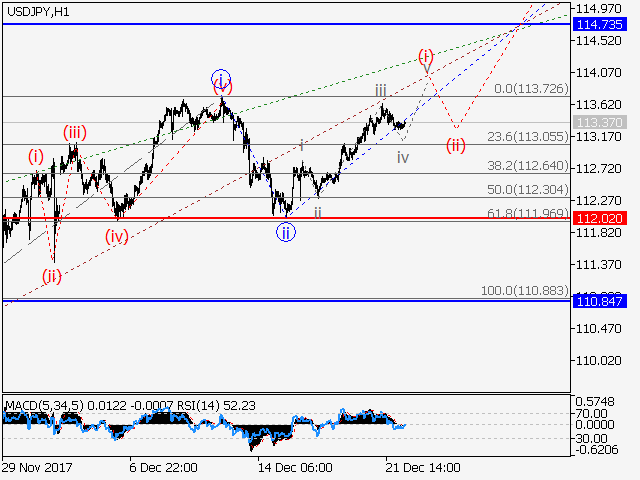 Main scenario: long positions will be relevant above the level of 112.02 with a target of 114.73 – 115.77. Alternative scenario: Breakout and consolidation below the level of 112.02 will allow the pair to continue declining to a level of 110.84. Analysis: Supposedly, the wave C of senior level continues to develop in the 4-hour time frame, with the wave 3 of C forming inside. Apparently, the third wave of junior level iii of 3 has started developing, with a counter-trend impetus (i) forming inside. 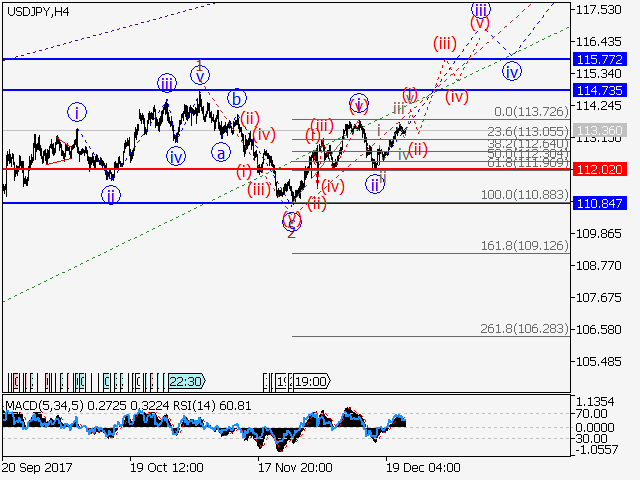 If the presumption is correct, the pair will continue to rise to the levels of 114.73 – 115.77. The level 112.02 may be critical in this scenario. Estimated pivot point is at a level of 1.2915. 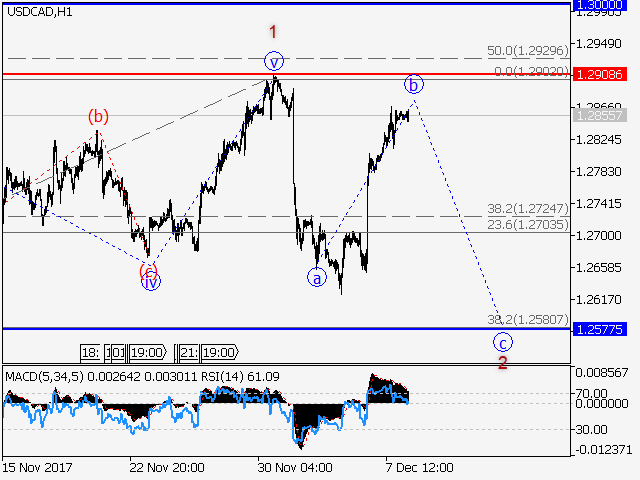 Main scenario: short positions will be relevant from corrections below the level of 1.2915 with a target of 1.2590 – 1.2488. Alternative scenario: breakout and consolidation above the level of 1.2915 will allow the pair to continue rising to a level of 1.3100. Analysis: Supposedly, a correction continues to develop within the 4-hour time frame in the form of the wave 2 of (5) currently shaped like a plane. Apparently, the wave b of 2 has finished forming as an expanding horizontal triangle and a wave c of 2 has started developing, with an impetus in the form of a wave (i) of junior level forming inside. 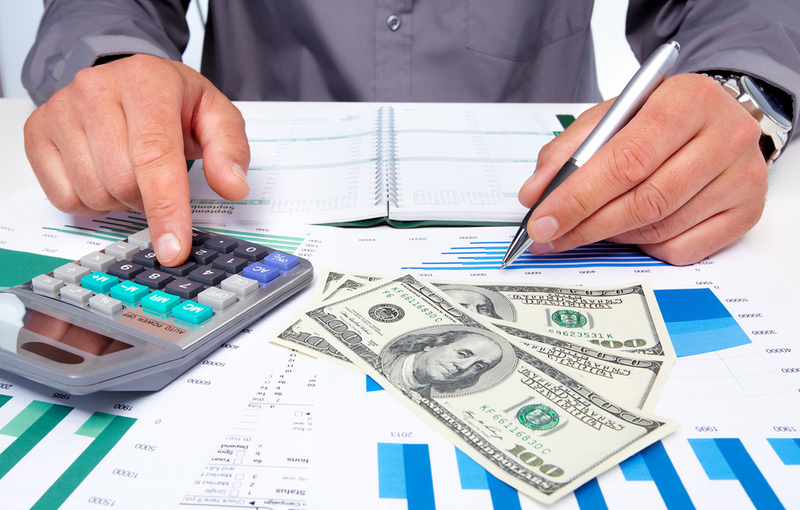 If the presumption is correct, the pair will continue to drop to the levels 1.2590 – 1.2488. The level 1.2915 is critical in this scenario. Estimated pivot point is at a level of 1.3543. 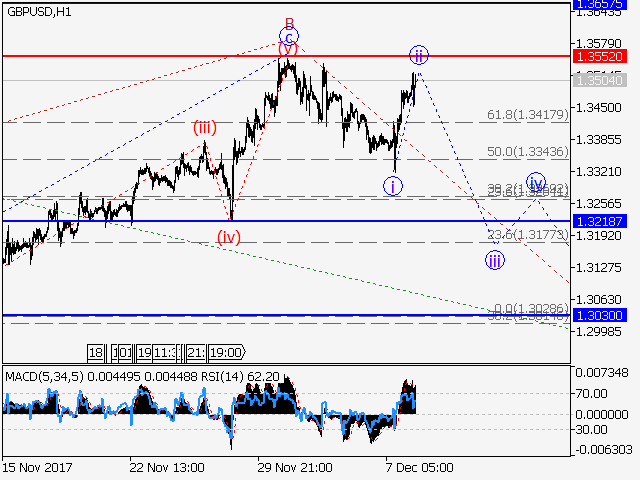 Main scenario: short positions will be relevant from corrections below the level of 1.3543 with a target of 1.3218 – 1.3030. Alternative scenario: Breakout and consolidation above the level of 1.3543 will allow the pair to continue rising to a level of 1.3657. Analysis: Supposedly, an ascending correction in the form of the wave В of (2) of senior level has stopped forming within the 4-hour time frame. Apparently, the wave C of (2) has started developing locally, with the wedge-shaped wave i of C formed and an ascending correction in the form of the wave ii of C developing inside. 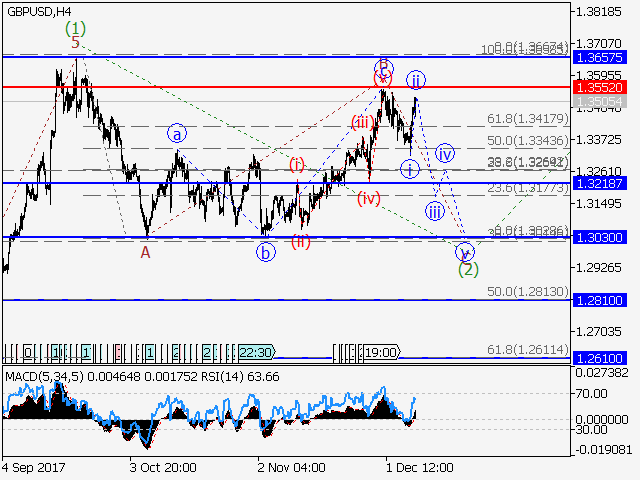 If the assumption is correct, the pair will continue falling to the levels 1.3218 – 1.3030 once the correction is over. The level 1.3543 is critical in this scenario. Estimated pivot point is at a level of 1.2908. 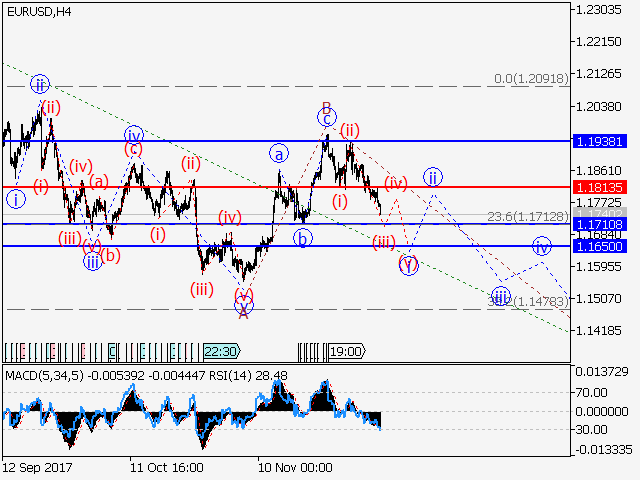 Main scenario: short positions will be relevant below the level of 1.2908 with a target of 1.2577. Alternative scenario: breakout and consolidation above the level of 1.2908 will allow the pair to continue rising to a level of 1.3000. Analysis: supposedly, a descending correction continues to develop within the 4-hour time frame in the form of the wave 2 of (5). Apparently, an upward correction of junior level in the form of the fourth wave iv of C has finished forming locally. 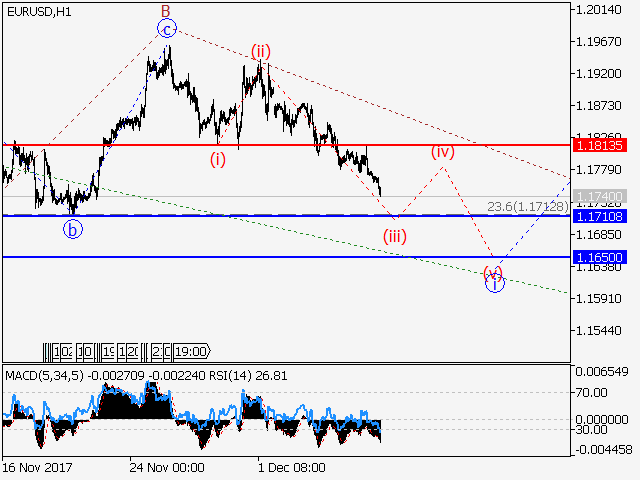 If the assumption is correct, the pair will continue falling to the levels of 1.2577. The level 1.2908 is critical in this scenario. 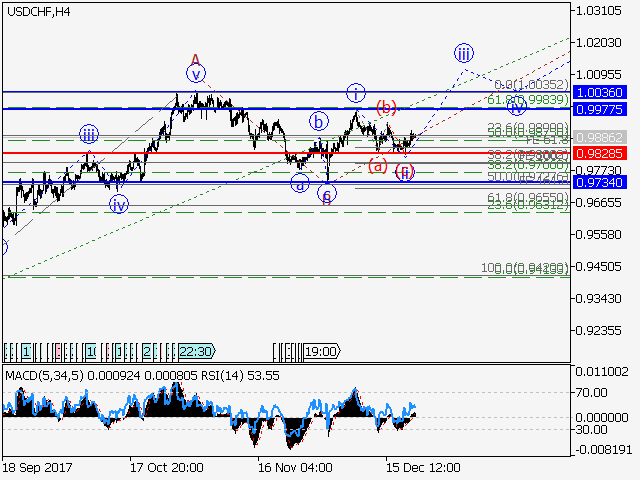 Estimated pivot point is at a level of 0.9862. 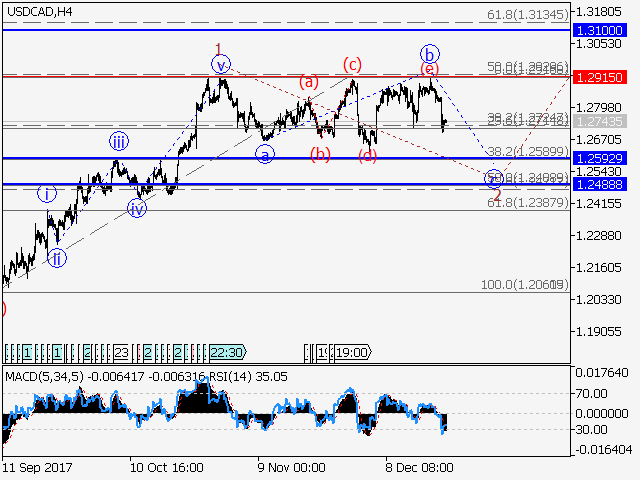 Main scenario: long positions will be relevant from corrections above the level of 0.9862 with a target of 1.0035. Alternative scenario: breakout and consolidation below the level of 0.9862 will allow the pair to continue declining to a level of 0.9765. Analysis: upposedly, an ascending correction in the form of the wave (2) of senior level continues developing within the 4-hour time frame. Apparently, the first wave С of (2) is forming locally, with the first wave of junior level i of C developing inside. 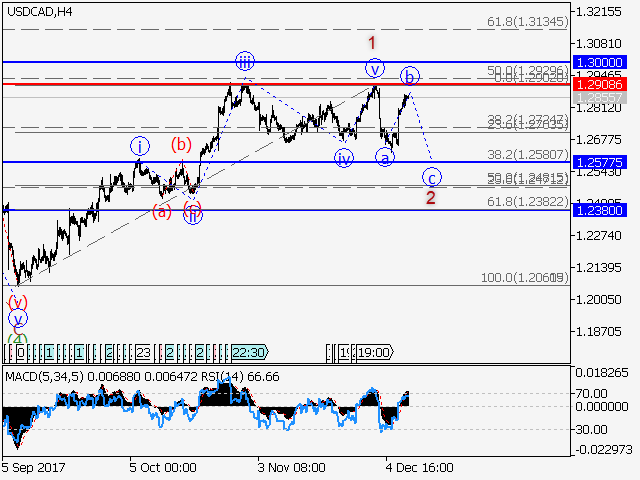 If the presumption is correct, the pair may be expected to continue rising to the level of 1.0035. The level 0.9862 is critical in this scenario. Estimated pivot point is at a level of 1.1813. 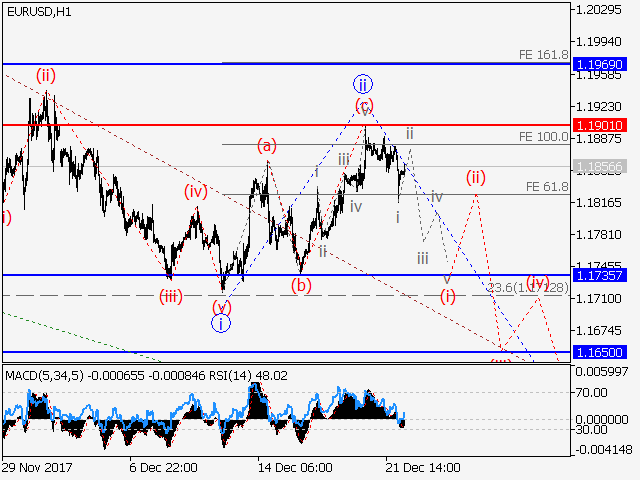 Main scenario: short positions will be relevant from corrections below the level of 1.1813 with a target of 1.1650. Alternative scenario: breakout and consolidation above the level of 1.1813 will allow the pair to continue rising to a level of 1.1938. Analysis: Supposedly, a descending correction in the form of the wave (2) continues developing in the 4-hour time frame, with an ascending correction in the form of the wave B completed and the wave C developing inside. Apparently, the first wave of junior level i of C is developing locally. If the assumption is correct, the pair may be expected to continue falling to the level of 1.1650. The level 1.1816 is critical in this scenario. Estimated pivot point is at a level of 1.3552. 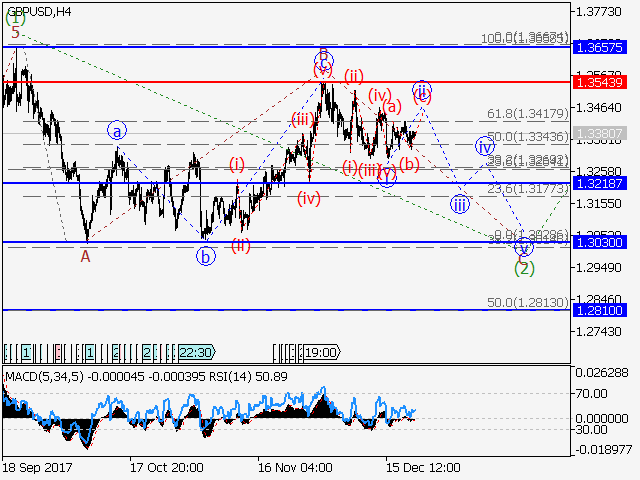 Main scenario: short positions will be relevant below the level of 1.3552 with a target of 1.3218 – 1.3030. 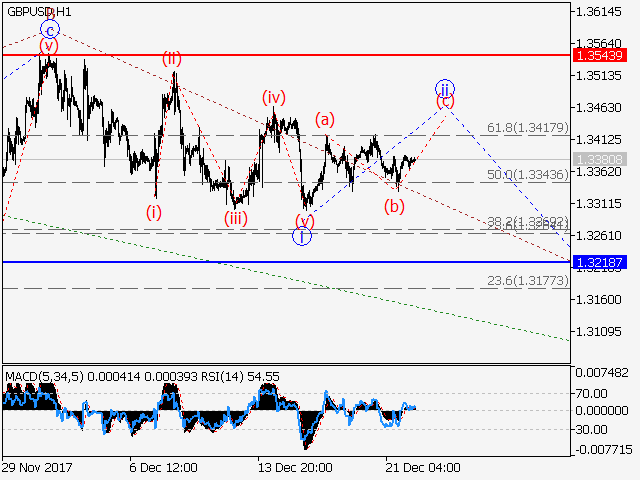 Alternative scenario: Breakout and consolidation above the level of 1.3552 will allow the pair to continue rising to a level of 1.3657. Analysis: Supposedly, an ascending correction in the form of the wave B of senior level has stopped forming within the 4-hour time frame. Apparently, the wave C has started developing locally, with the first wave of junior level i of C formed and the correction ii of C nearing completion inside. 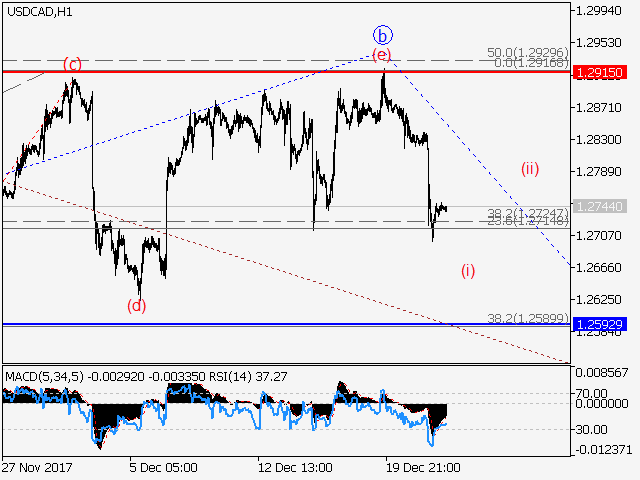 If the assumption is correct, the pair will continue falling to the levels 1.3218 – 1.3030. The level 1.3552 is critical in this scenario.